If you are looking for a terrine dish, it is of upmost importance to select the right baking dish! Fortunately, we have a nice selection of terrines on AZ boutique. Used for the preparation, cooking and preservation of pâtés, rillettes, pies, meat terrines or vegetable terrines, the terrine is the authentic and timeless cooking vessel. 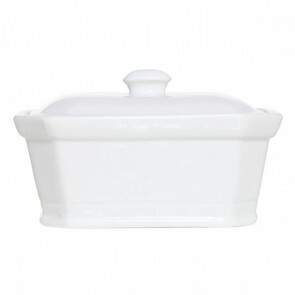 This rectangular container, which can also be round or oval is a great cooking dish is an essential ovenware! It generally refers to a clay pot reserved for cooking food that is cooked in a water bath. 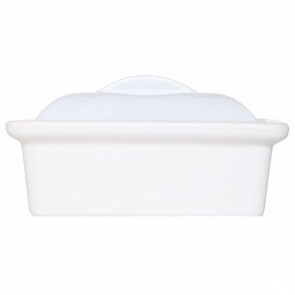 With straight and high edges and ears and handles, the terrine is closed with a lid that fits easily for better baking! It exists in several materials, including terracotta, glazed earthenware, porcelain, glass or cast iron. The terrine also comes in several sizes. The culinary preparation contained in the utensil is also called "terrine". What to prepare in a terrine ? Numerous culinary preparations are made in this special kitchen container. Meat is generally prepared in terrine dishes seasoned with various herbs (herbes de Provence, parsley, bay leaf, nutmeg, rose berries, cloves, herbs and vegetables), fine salt and black pepper. The terrine is certainly the best known of these preparations, it is usually served with country bread. There are many other terrine recipes and variations. The most appetizing is without doubt the duck foie gras terrine with porcini mushrooms as side dish. You also have the chicken livers terrine, chicken, rabbit, pork, poultry or duck terrine. If you are fond of sea specialties: you can also prepare a fish terrine or a tuna terrine. You can even prepare an original seafood recipe such as Scallop terrine or salmon terrine. For a country and forest recipe, go for the game terrine: pheasant terrine, wild boar terrine or deer terrine. 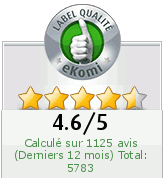 Think healthy and enjoy vegetable terrine! The terrine can also be a marvelous presentation tool: try layered terrine recipes such as the tiered ice-cream terrine or chocolate terrine. In short, you can prepare a multitude of dishes and preparation with this authentic and original utensil in stoneware or porcelain! It is even possible to prepare dessert terrines with jelly fruits! Serve with thick cream or fruit coulis. Most often, terrines are used for the preparation, cooking and preservation of pies, rillettes, pies, meat terrines or vegetable terrines, other! Find the terrine model of your choice in our selection of branded items available in several types of ceramics!